Bitcoins are a digitalized and decentralized form of currency that was introduced at the start of 2009 and that allows individuals to make transactions electronically, in this case, Mongoose Casino players will be able to enjoy the convenience of using Bitcoin from their mobile devices on Mongoose Casino mobile. Now available on Mongoose Casino mobile, players can enjoy a renewed sense of security, reliability and ease with regards to carrying out transactions with BitCoin. 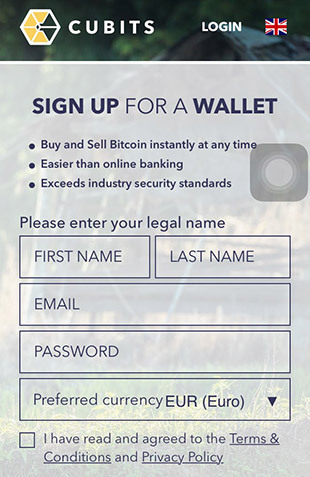 Please note that every bitcoin wallet has their own way of registration and verification. How to fund your Mongoose Casino mobile account using Bitcoin? Log into your Mongoose Casino mobile account and click on ‘deposit’ on the top right side of your screen. 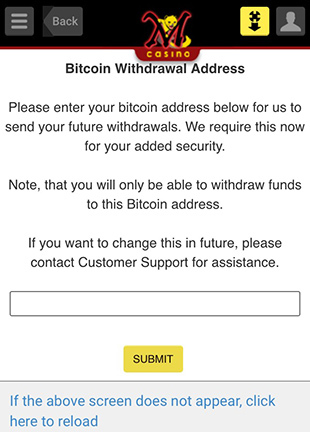 Choose ‘Bitcoin’ from the list of available payment methods. You may now select your desired welcome bonus (if available) and deposit amount either manually or from the list. Click ‘deposit’ and your funds will be instantly credited.